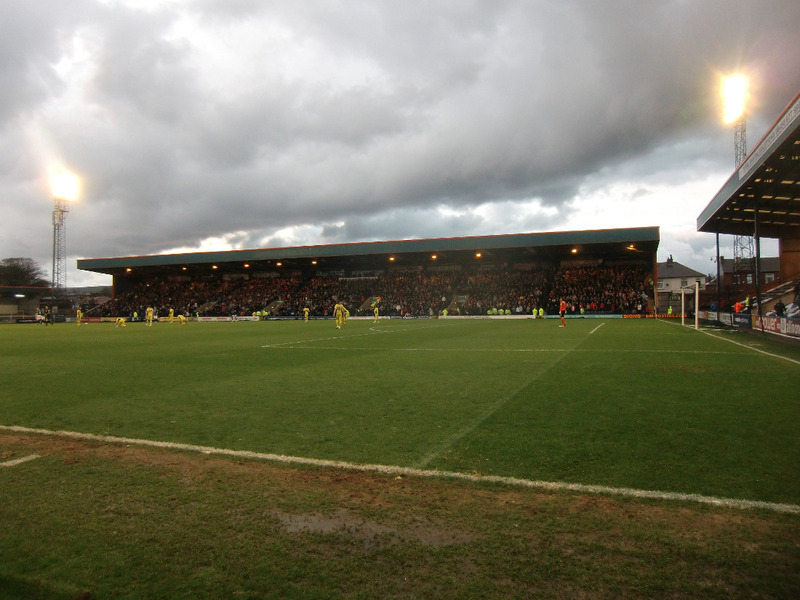 The Crown Oil Arena, previously known as Spotland Stadium, got built in 1920. 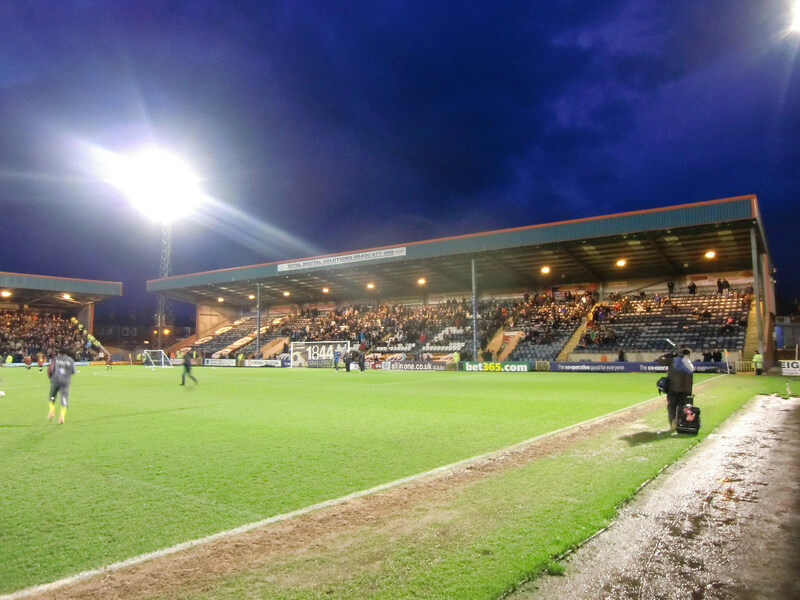 For most of its history, Spotland Stadium was a rather modest ground consisting of one covered main stand and open terraces on the other sides. 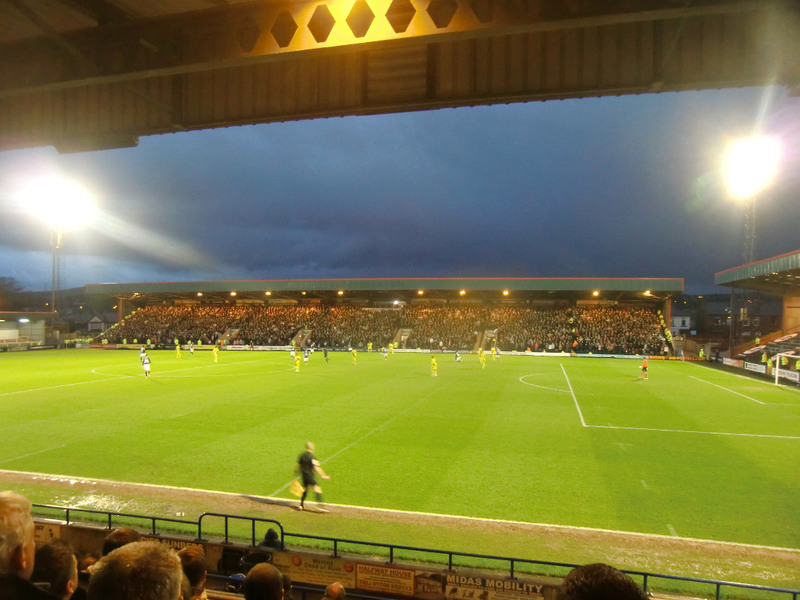 Spotland Stadium got almost entirely rebuilt between 1992 and 2000 with three new stands on both sides and one end. The remaining Sandy Lane terrace behind the goal got extensively revamped. 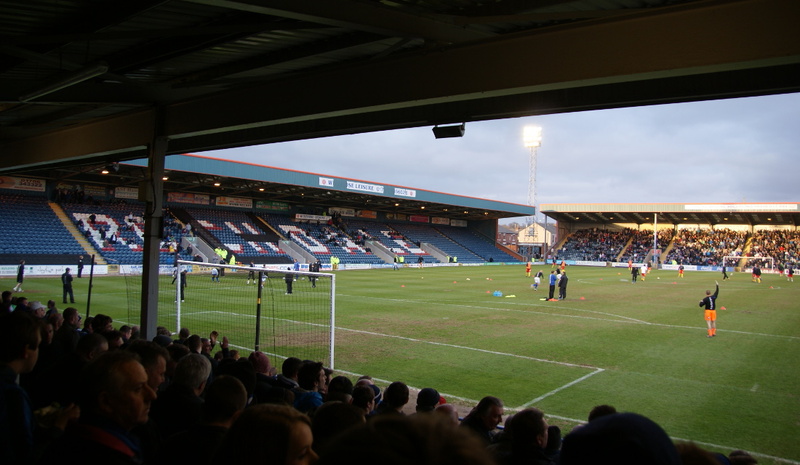 In 2016, Spotland Stadium got renamed Crown Oil Arena following a 5-year naming rights sponsorship deal. 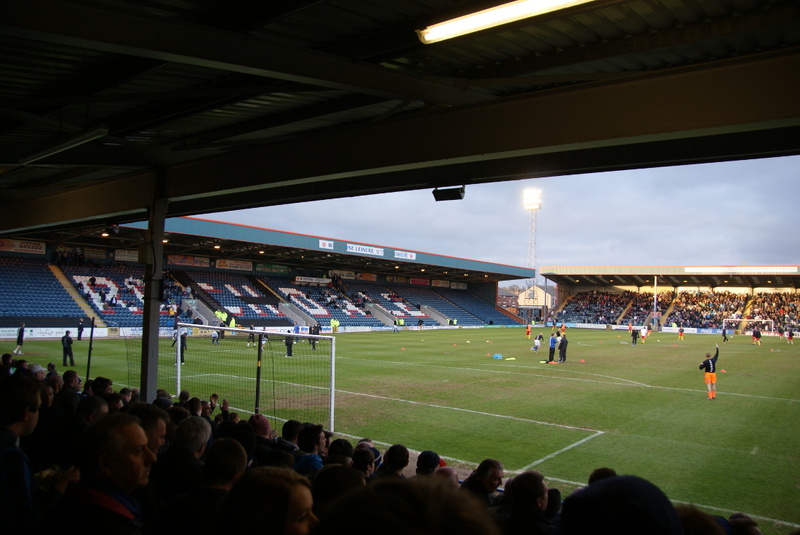 The Crown Oil Arena is located in the north-west of Rochdale at about a mile of its town centre. Rochdale’s rail station lies a little further south at just under two miles of the stadium. Rochdale lies just north-east of Manchester. The Metrolink trams connect Manchester directly with Rochdale’s town centre. Take line G from, for example, St. Peter’s Square, Exchange Square, or Victoria Station in Manchester’s centre. Rochdale Town Centre is the last stop, from where it is a 20-minute walk to the stadium. Alternatively, take either bus 468 (get off at stop Spotland Stadium), or 467 (get off at Spotland Bridge). Buses tend to run every 20 minutes. The tram ride of 47 minutes isn’t the quickest though as regular trains make the journey from Manchester Victoria to Rochdale rail station in 15 to 20 minutes. There are also direct trains from Leeds to Rochdale. The walk from Rochdale rail station to the stadium takes longer though, about 35 minutes, or take a tram to Rochdale Town Centre to reduce the walk. Tickets for Rochdale games can be bought online, or at the ticket office at the stadium, in advance or on the day of the match. For most games it is also possible to pay with cash through the turnstiles at the Pearl Street Stand and Sandy Lane. Tickets cost either £20.00 or £22.00 for a seat at one of the sides or £17.00 for the Sandy Lane terrace behind the goal. 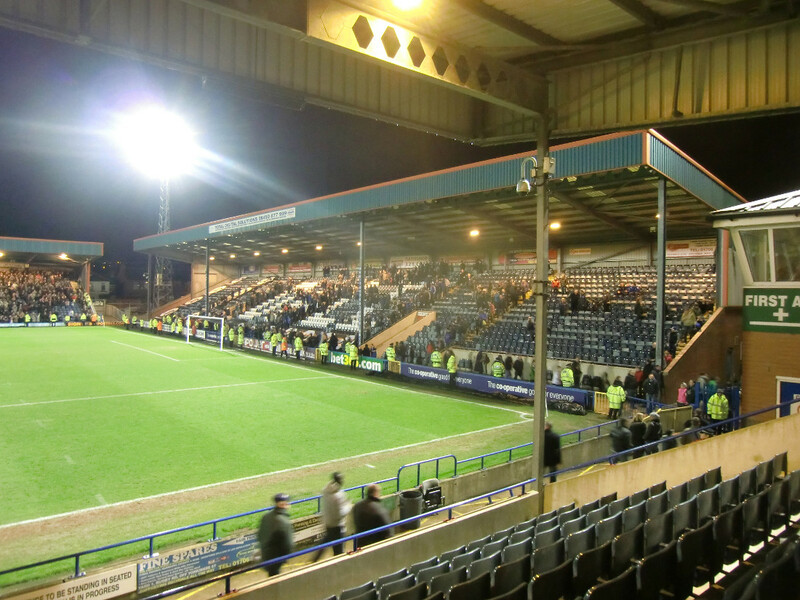 Rochdaleafc.co.uk – Official website of Rochdale AFC. Visitrochdale.com – Rochdale tourist information.